Can Sirisena Ride The Storm In Sri Lanka, Or Will Rajapaksa Claw Back? Sri Lank President Maithripala Sirisena, or Mi3 as scribes refer to him, is continuing his perilous political journey of going ahead with the constitutional reform process though it has overshot the 100-day deadline he had set. His episodic journey, not unlike Tintin, Herge’s immortal comic hero, is moving from crisis to crisis. Most of his political problems emanate from the Sri Lanka Freedom Party (SLFP) which he is supposed to lead. It is behaving very much like Captain Haddock, the tipsy master of Tintin’s ship. Sirisena needs the support of his party to sail through the last two eddies of reform process – to get the parliament to pass the 20th Amendment (20A) to reform the electoral system, and constitute the Constitutional Council (CC) – before he can hold the election for a new parliament. The CC is supposed to be in place before the election so that it can ensure the structural reform process culminates in a system where the accountability of the executive president to parliament and more power to the prime minister are enshrined to ensure highest standards of governance for a corruption free society. This is the complex solution that seems to be shaping itself after the people voted out their Eelam War hero Mahinda Rajapaksa who was seeking a third term as President. The people found his autocratic regime was run as his personal fief where fundamental freedoms were curbed and law and order became a joke while allegations of corruption against his family and siblings mounted. The SLFP though in majority has about 40-50 Rajapaksa-loyalists in parliament who have been trying to pull the rug from under Sirisena’s feet at every step. Rajapaksa’s immense popularity in rural Southern Sinhala region is their trump card though its charm seems to be fast fading. The other is to play upon the traditional animosity of SLFP rank and file to their opponents in the United National Party (UNP) now in power despite lacking a majority in parliament. The UNP leader Ranil Wickremesinghe, the current prime minister, in league with Sirisena and former president Chandrika Kumaratunga master minded the downfall of Rajapaksa that resulted in a win-win situation for both the UNP and Sirisena, though not the SLFP. But Sirisena has a strong suite in the anti-corruption investigation he is carrying out into various cases of serial corruption across the board during the Rajapaksa regime. If he gets enough evidence to prosecute the Rajapaksas, many SLFP leaders would also be sunk like bumboats going down when a large ship sinks. So the SLFP leaders are not averse to break bread with Sirisena who seems to be determined to unravel the evidence of corruption and sleaze against the Rajapaksas. Basil and Gotabaya are being grilled by the anti bribery commission. The two Rajapaksa brothers who controlled the development finance and defence respectively are facing inquiries into their personal dealings and official projects. The Commission is planning to pose Mahinda uncomfortable questions. India and the US are assisting the government to look into secret Sri Lankan bank accounts in tax havens across the globe. The FBI and the U.S. Homeland officials have visited Sri Lanka in this connection. A former Sri Lankan ambassador to Russia and Ukraine has gone into hiding to escape inquiries into his alleged gun running and secret deals made in arms procurement. It would be a dream solution for the SLFP and the United Peoples Freedom Alliance (UPFA) leaders including the Rajapaksa loyalists if they can replace Prime Minister Wickremesinghe to grab power in the present government. Then they could hold the election while in power and the 20A and CC can be moulded to their comfort. So elements within the SLFP and UPFA have brought a no confidence motion against Wickremesinghe. It will come up in parliament shortly; two other no-confidence motions- against Finance Minister Karunanayake and Public Order Minister Ameratunga – are also awaiting disposal. Thus Sirisena has major problem on his hands. He will require the SLFP support to get the 20A passed in parliament while retaining the collaboration of Wickremesinghe to take the reform process forward. 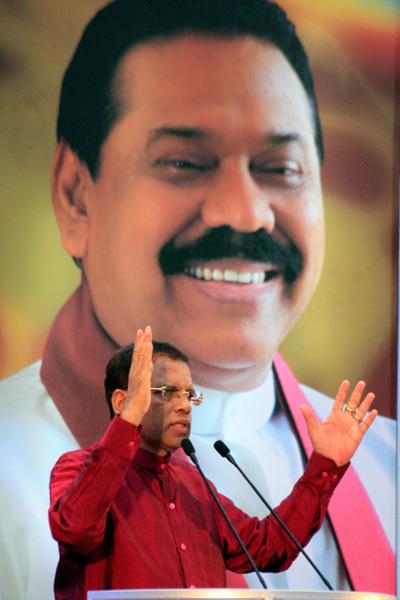 The President’s internal conflict with Rajapaksa loyalists within his party is continuing. Four ministers belonging to the SLFP have dramatically resigned to affirm their allegiance to former President Rajapaksa. The loyalists want the SLFP to nominate Rajapaksa for Prime Minister. However, Sirisena has put his foot down. According to the local media, this has infuriated Rajapaksa who had said he would contest the election even if the SLFP does not nominate him. But Rajapaksa, the street smart kung-fu fighter of Sri Lanka politics, knows doing is much more than talking. In the midst of all this can Sirisena come out smiling? Sirisena is no showman like Rajapaksa. But he showed his mettle when he managed to get the SLFP to support the passing of the 19th Amendment to the Constitution to clip the powers and increase the accountability of executive president passed in parliament. But 20A is proving to be more difficult; there had been no agreement within the ruling coalition as well as the opposition on the draft of the 20A as yet. And things are no better on forming of CC. But all the song and dance are part of Sri Lanka political theatre where the popular hero comes out smiling in the end. In this respect Sri Lanka politicians are very much like their Indian kin. Sirisena’s deadline has been passed sometime back; much water may still flow in Kelani river before Colombo leadership successfully manoeuvres through the political tides. Next three weeks would tell which way the tide is turning. Both Sirisena and Wickremesinghe must be keeping their fingers crossed. And Rajapaksa is probably vigorously praying. 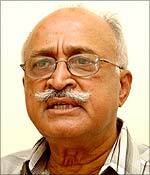 *Col R Hariharan, a retired Military Intelligence officer, is associated with the Chennai Centre for China Studies and the South Asia Analysis Group. 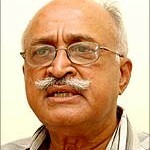 E-mail: haridirect@gmail.com Blog: http://col.hariharan.info .